Providing veterinary service to Thornbury, the Town of the Blue Mountains and surrounding communities. We offer the following services: Vaccination, medicine, digital x-ray, full in-house diagnostic laboratory, dental care, after hours emergency service, and general and orthopedic surgery. 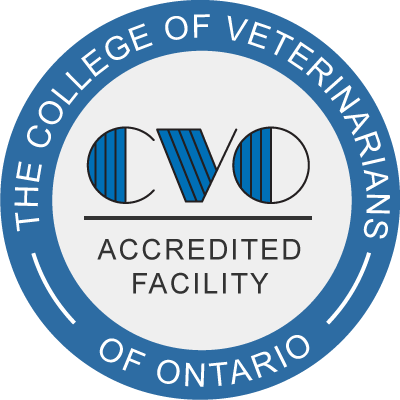 Thornbury Veterinary Hospital offers orthopedic referral/travelling services for veterinary clinics in Southern Ontario. We offer a FREE orthopedic radiographic interpretation service. To book appointments please call 519.599.1245 or email reception@thornburyvets.com. Alternatively, please feel free to come in and speak with our receptionists, who will be able to help you. For after hours emergency care, please call (519) 599-1245 for our on-call veterinarian (24 hours a day). Copyright © 2016 Thornbury Veterinary Hospital. All Rights Reserved. I consent to Thornbury Veterinary Hospital collecting my details through this form.